New York’s most famous bookstore, The Strand, houses 18 miles of bookshelves and decades of literary history in a classic steel-frame building in Greenwich Village. Nancy Bass Wyden is the third generation of the Bass family to own the store; her father bought the building at 826 Broadway for $8.2 million to avoid being priced out of the neighborhood by rising rents. 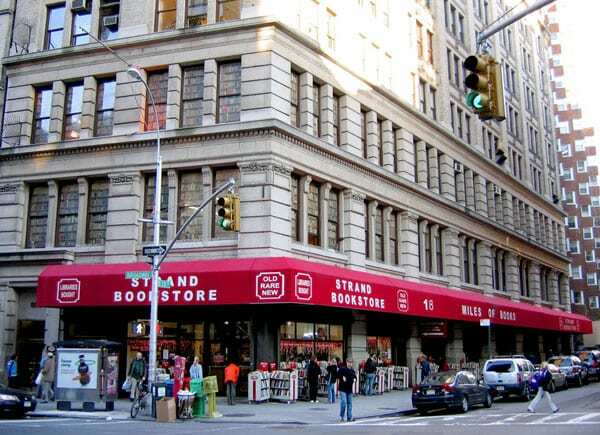 According to Wyden, the latest danger to the Strand isn’t rising costs or a decline in readership, but the New York Landmark Preservation Commission. The owners of the Strand have historically been committed to preserving the building as it is. Their staff is unionized and paid a living wage, signaling a commitment as a community partner, although they have been hostile to people sleeping on their sidewalks. Wyman pointed out that as this potentially expensive designation is being considered, Amazon was awarded billions of dollars in tax incentives for its new headquarters in Queens.